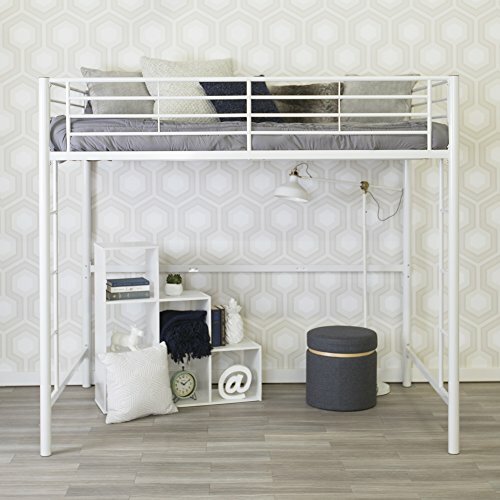 Beloved for its compact foot print, this Loft bed is a necessity for your children bedroom. The sturdy, steel frame promises stability and function to support a Full size mattress and up to 250 pounds. Features Full length guardrails and two integrated ladders, one on each end. This ideal space-saver is the perfect addition for your bedroom.